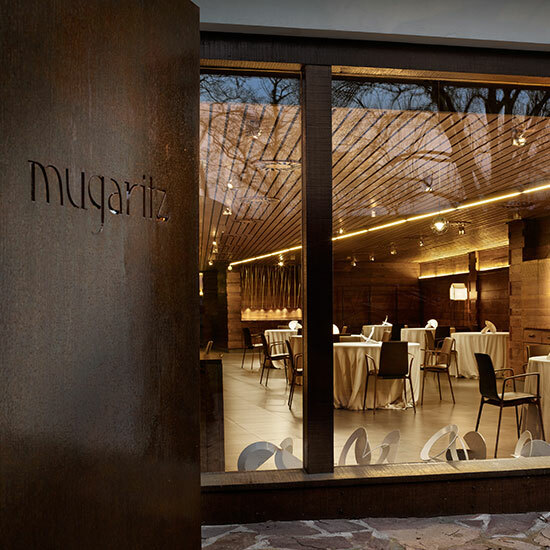 Set in the remote, picturesque countryside of Gipuzkoa, Spain, a visit to Mugaritz is worth a pilgrimage. Currently ranked at number six on San Pellegrino’s list of the World’s 50 Best Restaurants, the famed Basque restaurant has been closed for the past four months for dish research and development. And now, it’s ready to reopen. But before chef Andoni Luis Aduriz swings open the doors to the public, he’s offering ten lucky people the deal of a lifetime: A free, full tasting menu experience at Mugaritz. Starting tomorrow at 10 a.m. GMT (6 a.m. EDT, 3 a.m. PDT), you can sign up on Mugaritz’s website and enter for a chance to win a spot at the table. The entry period will last until April 6. Then, on April 7, five winners will be notified that they have been chosen to experience dinner for two. But winning is the easy part. After that, the chosen five and their dates will have just six days to figure out exactly how to get to the restaurant and where they’ll be staying that night—since flights and accommodations are not included in the raffle. If you’re ready to pick up at a moment’s notice and fly to Spain for the meal of a lifetime (who wouldn’t be?) then get ready to rise and shine bright and early tomorrow and click this link.